Charles R. Levun (all sites), JD, CPA, is a partner in the Chicago-area law firm of Levun, Goodman & Cohen, LLP . He is also an Adjunct Professor of Law at the Illinois Institute of Technology Chicago-Kent Graduate Tax Program, Editor-in-Chief of the Journal of Passthrough Entities and consultant to the Wolters Kluwer, CCH, Partnership Tax Planning and Practice Guide, for which he is the author of the monthly "Partner's Perspective" column. Mr. Levun received a JD from the University of Chicago Law School and a BS in Accounting from the University of Illinois. 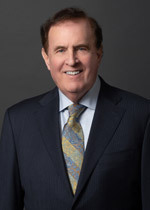 He is a past chair of the Partnerships and LLCs Committee of the American Bar Association's Section of Taxation, the Chicago Bar Association's Federal Taxation Committee and the Federal Taxation Section Council of the Illinois State Bar Association, and a past Regent and Fellow in the American College of Tax Counsel. Mr. Levun has been chair of the faculty and co-sponsor of the "Fundamentals of Flow-Through" Seminar since its inception. 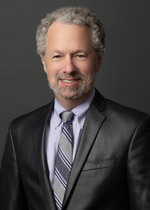 Michael J. Cohen (all sites), JD, LLM, MBA, CPA, is a partner in the Chicago-area law firm of Levun, Goodman & Cohen, LLP . Mr. Cohen received an LLM in Taxation and a JD from the Illinois Institute of Technology Chicago-Kent College of Law. He holds an MBA in Finance from DePaul University and a BS in Economics from the University of Pennsylvania, Wharton School of Finance and Commerce. Mr. Cohen is the Associate Editor-in-Chief of the Journal of Passthrough Entities and is the co-author of the monthly "Partner's Perspective" column that accompanies the Wolters Kluwer, CCH, Partnership Tax Planning and Practice Guide. He has been co-chair of the faculty of the "Fundamentals of Flow-Through Seminar since its inception. Program materials and presentations will provide information relating to the covered subject matter. None of the presenters, authors or publisher will be rendering legal, accounting or other professional advice. If such advice is required, it is strongly recommended that a professional advisor be engaged.